Before India was a country, the region was home to the Indus Valley people. The Indus Valley is located in North-West India and Pakistan. Even in 2500 BC, the people of the Indus Valley conducted a large trade in cotton, rice and other products. It seems that the river changed course after 2000 BC, and the valley suffered in a large flood. Five hundred years later, large numbers of people from the middle east and what is now called Iraq invaded India. We call this event the Aryan Invasion. These people settled down in the Indus Valley and in other parts of North India. For many centuries, India was split up in small kingdoms. These kingdoms had their own language and culture. In the year 310 AD, an important new leader stood up. He brought many small states together, and set up a capital city. His name was Chandragupta. He brought many good changes. In the following 250 years, people started to take interest in science, arts and building construction. The days of the Gupta Empire were part of India’s ‘golden age’ of peace. Some of the kings after Chandragupta were not very good, and the empire started to weaken. One day, a new leader saw his chance! His name was Babur, which means ‘tiger’. He was born in what is now Uzbekistan, close to Afghanistan. He marched down to India with his army, and set up his kingdom in North India. He united much of South India with North India for the first time under the ‘Mogul Empire’. The religion of Islam was spreading fast in the world, and Babur was also a Muslim leader. Many people converted to Islam under during the days of the Mogul empire; almost 20% of the Indian population. The Mogul empire was part of a large Islamic empire that covered parts of Europe, Africa and Asia in the Middle Ages. In the beginning, many Indians prospered under Mogul rule. Trade increased between India and the Middle East, and beautiful cities and fortresses were built all over North India. But after 1700, many Hindus began to rebel against the Moguls. They did not want to change to become followers of Islam. The struggle grew more and more violent and by 1850, the Mogul Empire had ended. Since 1600, many European countries had their eyes on India. They were interested in trading with India because of its spices, tea, cotton and ivory. European countries like Spain, France, Portugal, England and Holland had been competing with the Moguls for Indian trade for many years. By 1800 it was becoming clear that Britain and its East India Company had the biggest influence in India. The Moguls were almost defeated, and Portugal and France had to be satisfied with a smaller role. Britain already had several countries as colonies, such as Kenya, Nigeria, several other African countries, as well as Jamaica. And in 1858, India also came under the rule of Queen Victoria. In India, the highest British official became the Viceroy. Literally Viceroy means ‘In the place of the king or queen’. The Viceroy had a number of governors under him who ruled provinces. Then there were officers, civil servants, and of course the army. Under British rule, or British raj, India’s trade with Europe increased very much. India sold cotton, silk and spices, and the country began to prosper. The British government also supplied India with roads, the world's biggest rail system, and with telephone systems. In return, the Indians fought hard for Britain in both World Wars (1914-1918 and 1940-1945). In the first World War, 36.000 Indians lost their lives. India also contributed 100 million pounds to the war budget. But as time went on, more and more people in India started to feel that they wanted full control over their own country. 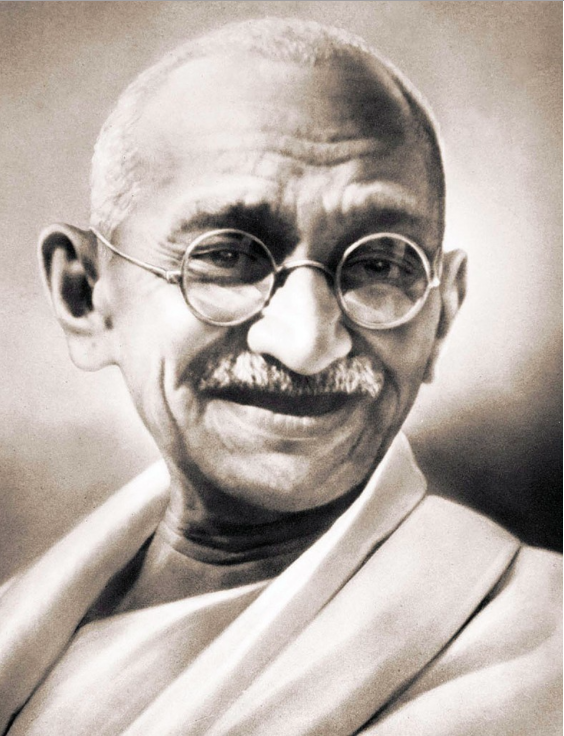 Gandhi, a lawyer and Indian statesman, started to lead a movement in India around 1919. He told his people that gaining complete freedom for India, or independence, would be a fight. But he felt it was fight that must be fought without violence. Gandhi believed that in order to bring real change, we must always act in love, without hatred. His message was: ‘Love the British, but don’t obey them’. Britain had done much good in India, but the Indians wanted to govern their own country. One example of Gandhi’s protests were the salt marches. In 1930, Gandhi walked with 100.000 people in a protest march against salt taxes. Gandhi and the protesters produced their own salt, which was not allowed. Soon, millions of Indians joined them and did the same. 60.000 Protesters were put in prison that same year. For more than 25 years, Gandhi led many large protests against the British rule in India, and was put in prison four times. There he would often refuse to eat food. We call this a ‘hunger strike’. All these events were reported in the British news papers, and many British people started to agree with Gandhi. ‘Yes’, the British people said ‘the Indians should be ruling their own country now’. On August 15th, 1947 India became independent. At this time, there were many tensions between the two main religious groups in India: the Hindus and the Muslims. On many occasions there was fighting and violence. Many Hindus were still angry because the Muslims had tried to rule India through the Mogul Empire. To help create a peaceful future, it was decided to split India in two. The Muslims would have their own country in the North called Pakistan, and the rest would be called India. It was a sad time, and many lives were lost in riots. Mahatma Gandhi himself was shot and killed in 1948, only six months after his Independence victory. Pakistan and India have been at war twice since then. In 1966, Indira Gandhi became India’s first female prime minister. She was assassinated in 1984, and her son Rajiv, who became Prime Minister in her place, was also assassinated 7 years later. Since 1991 India has become more stable. Elections are regular and fair, the citizens enjoy freedom of speech, and India has become the biggest Democracy on earth. Currently, the Indian Prime Minister is Narendra Modi. His party is called the Bharatiya Janata Party. Mr Modi made his first official visit to the United Kingdom in November 2015. In the last 15 years, the Indian economy has grown very fast. For many Indians, poverty is now a memory. As India’s global influence increases in the fields of computing and IT, the future looks brighter than ever.